Cheyenne Mountain State Park opened in October of 2006. The park was bought by the state of Colorado in June of 2000 and remains the only state park in El Paso County. The park originated from a homestead in 1917 between Bert Swisher and Thomas Dixon. The family sold the land to the state of Colorado and it became a state park in 2001. Colorado State Parks needed a new visitor’s center for Cheyenne Mountain State Park. The Visitor’s Center is approximately 6,000 square feet and predominately one story. It houses a 2,000-square foot office wing, a 2,000-square foot exhibition hall, a 1,000-square foot multipurpose / multimedia room and several storage areas. 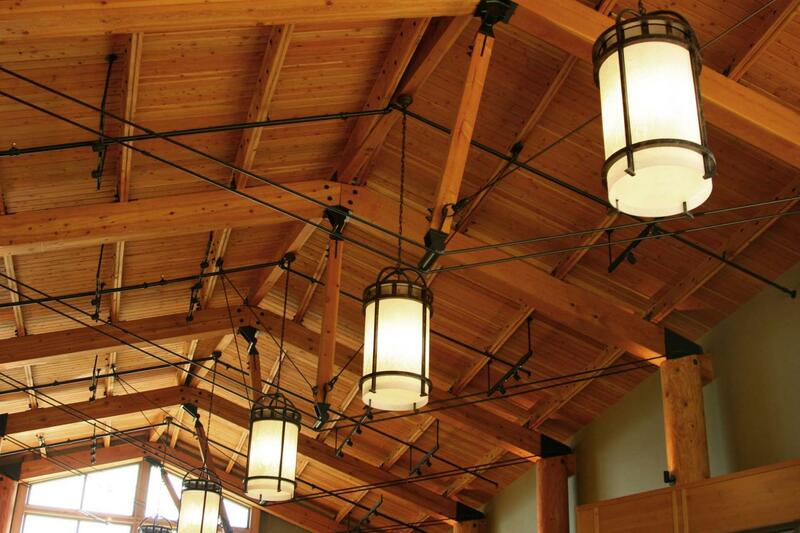 The Visitor’s Center utilizes king post trusses which are a mixture of heavy timber and steel rods. The structure is exposed, therefore close attention to detail was required to ensure that the structural load path would complement the architecture.